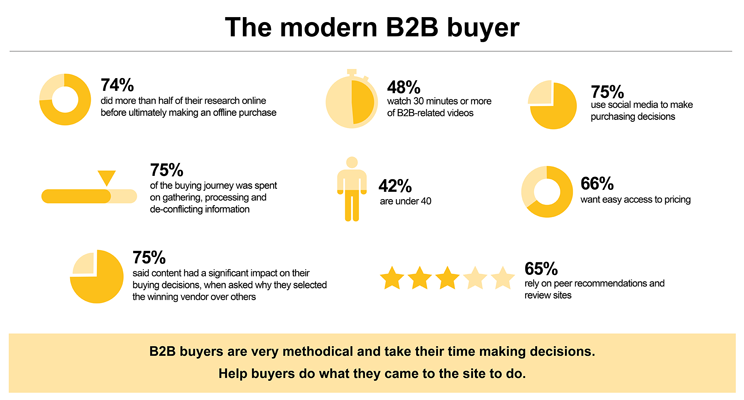 With these figures in mind, me and my colleagues in the Avensia team of strategic advisors, have created a series of articles and webinars about the consumerization of B2B and other new developments within the B2B segment and how to tackle it. They will be posted here on the blog during the coming weeks. In the mean time, take a look at my latest blog post: A digital survival kit for B2B. Digital strategy and holistic thinking is key when planning for the future of your business. One important part of our commerce advisors' jobs is to challenge the way organizations think about ecommerce, by asking the big, business-defining questions. Read more about the Avensia Commerce Advisors.